Above we used standard Brake wire (in red jacket). This has two wires inside the red jacket, one for 12 volt power on one for the brake feed. We used the black wire for battery feed, both to the rear of the truck, and to power the controller under the dash. The other wire (in this case) is is white, we used that for the brake wire. 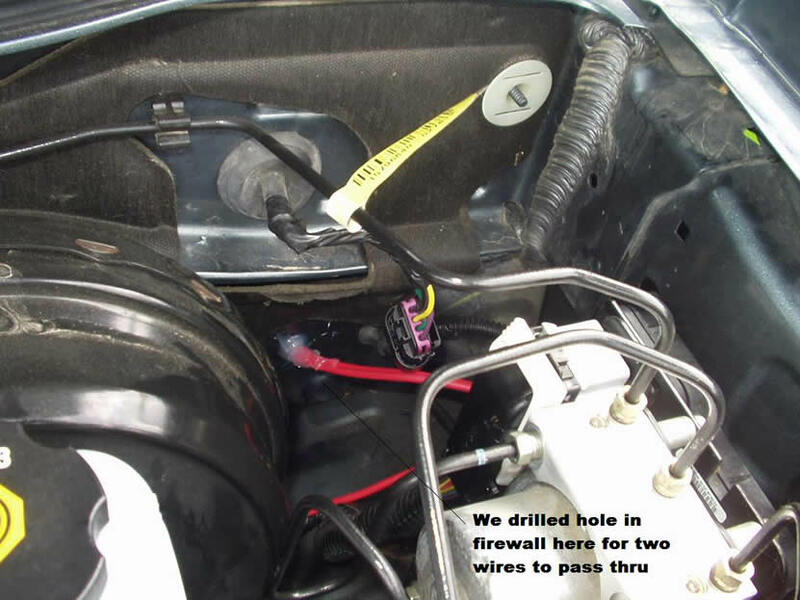 Wire comes from rear of truck, the black wire is cut and connected to the circuit breaker, then passes through the fire wall. Circuit breaker is mounted to fender. Used a standard 1/4" spade and slipped it onto on of the un-used fuse spots in the fuse block - the red jacketed wire: black is 12 volt supply, the white is being used for the brake wire. 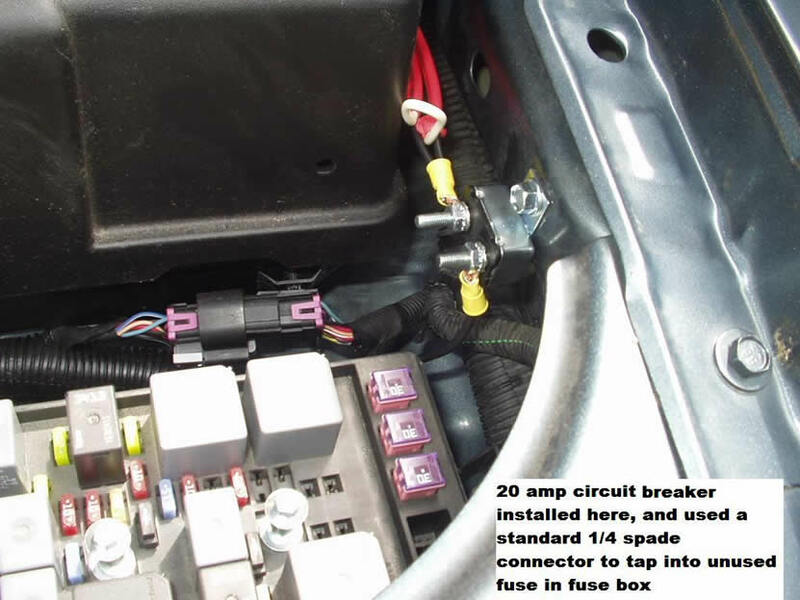 So, the wire comes from the brake controller under the dash, over to the relay on the fender. 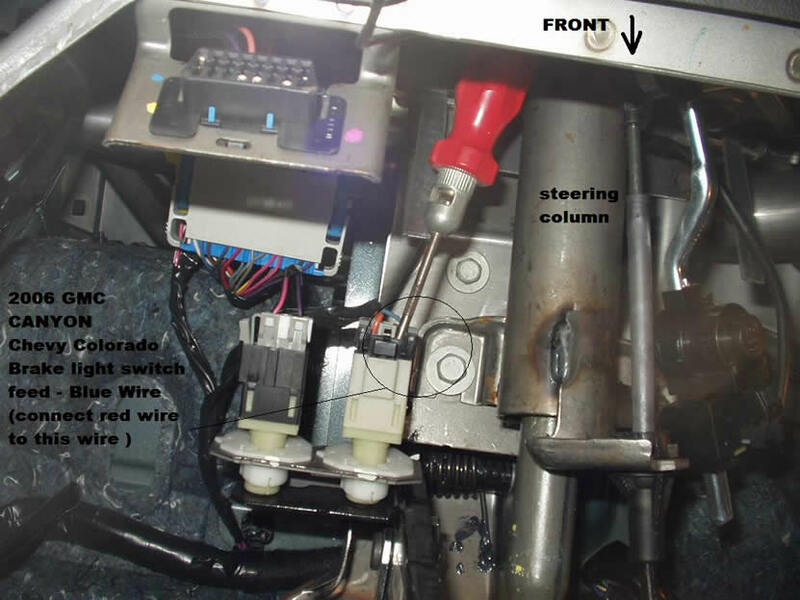 The wire wire (brake ) is ran directly down to the rear of the truck, while the black wire is connected to the 12 volts supply, and is connected to both the controller and the plug on back.